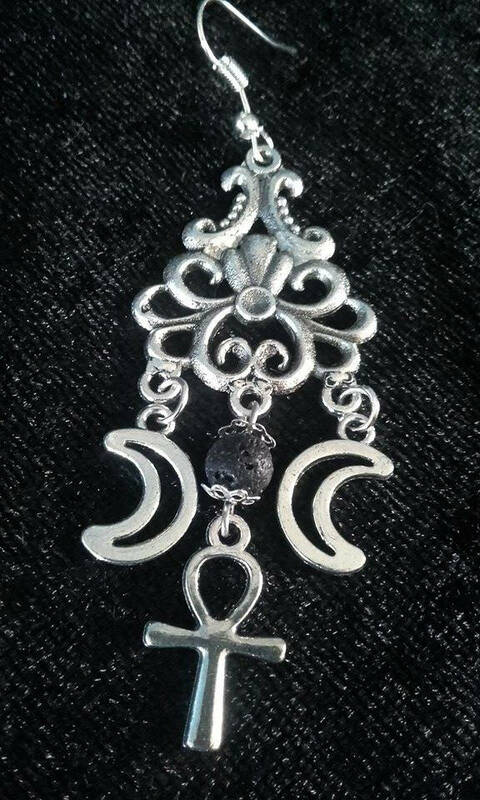 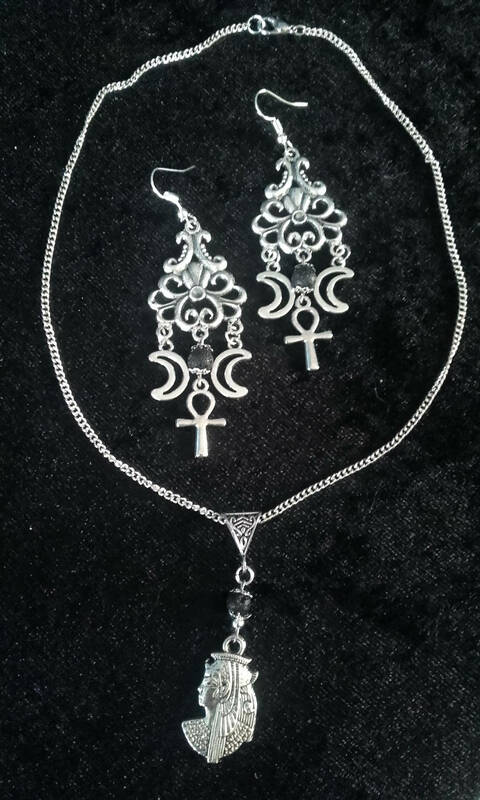 Isis Earring and Necklace Set. 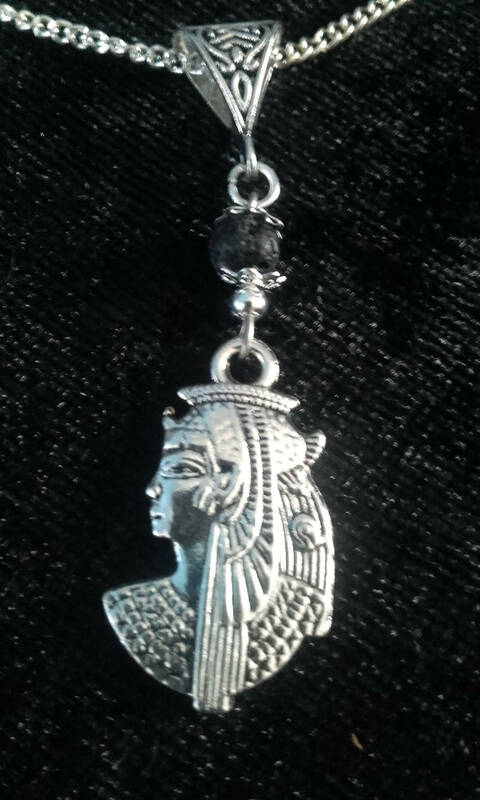 - Lava bead with an image of the godess Isis. 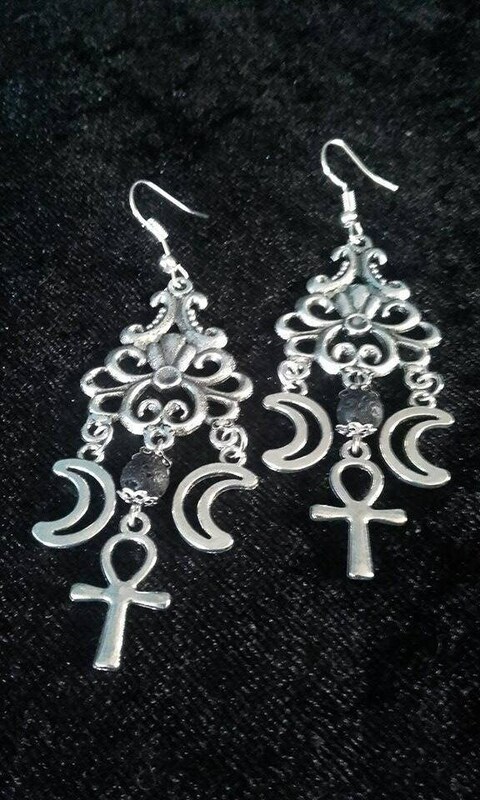 - A pair of lava stone ankh earrings.